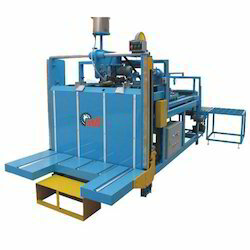 The machine can glue the opening of 3-ply and 5-ply corrugated cardboard. Low cost machine, suitable for all kinds of cartons. 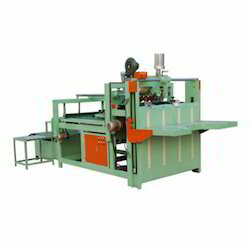 Auto piler allows to load maximum carton to operate. Quick chage over of sizes. Continuous carton feeding is possible. Finished carton travells to the end of conveyer by setting the number of carton as per requirment. Reduces man power while comparing manual method. Strong bonding and even pressing of the carton. Quick change over of sizes. Finished carton travels to the end of conveyor by setting the number of carton as per requirement. Reduces man power while comparing manual method. Strong bonding and even pressing of the carton. Finished carton travels to the end of convener by setting the number of carton as per requirement. Automatically turns off at the top and the two parts can be completed simultaneously taped while saving time and labor. Applicable to a wide range of cartons, cardboard boxes of different sizes to adjust quickly and easy. Stable and reliable, strong and beautiful packaging effect. Equipment is simple, easy maintenance. Automatically correct carton straight angle, 180 degrees correction, effectively correct scissors fork, fish phenomenon. PLC HMI, front and rear dual-frequency synchronous operation. 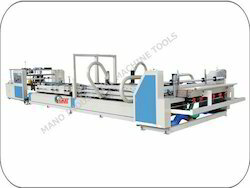 The low-cost machine, suitable for all kinds of cartons. 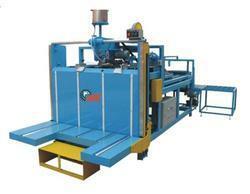 Auto piler allows loading maximum carton to operate. Finished carton travels to the end of the conveyor by setting the number of the carton as per requirement.